Simply complete the form below, including the best time to call and an advisor will contact you to provide further information. Total MX has found a Motocross Insurance provider with an income protection policy which can pay up to 60% of your income from the day of your accident as well as a life and critical illness policy. 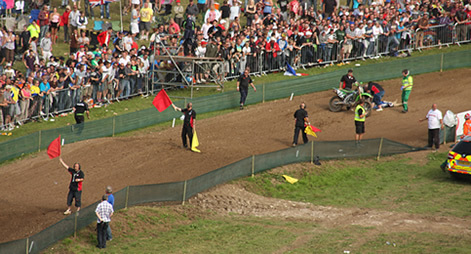 With cover starting from just £1.16 a week, its perfect for motocross and extreme sports. Unlike other insurance policies, we have found an insurance policy that covers you whilst you practice or race. For a real life story of how Totally Sports Insurance has helped other riders, please read these articles Totally Sports Insurance Testimonials. Having an accident can have financial implications, so why run the risk and not be covered? Whether your self employed or not, the benefits this insurance policy provide can help you pay your monthly outgoings, for example you mortgage/rent, utility bills, loans and general day to day living expenses. The insurance cover starts from day 1, covering you for both accidents OR sickness!! Continuous payouts until you return to work. There is no limit on the length of payout, from our experience, some insurance companies only provide up to 6 or 12 months payout. This insurance policy will payout until you retire. There are no premium increases for occupation, smokers,gender or hazardous pursuits. All applicants must be between the age of 18 and 60. As well as motocross, the policy covers a huge range of sports, including; snowboarding, skiing, mountain biking, bmx, football, rugby plus many more. For more information, complete the form to the right and an advisor will contact you to discuss this in more detail.